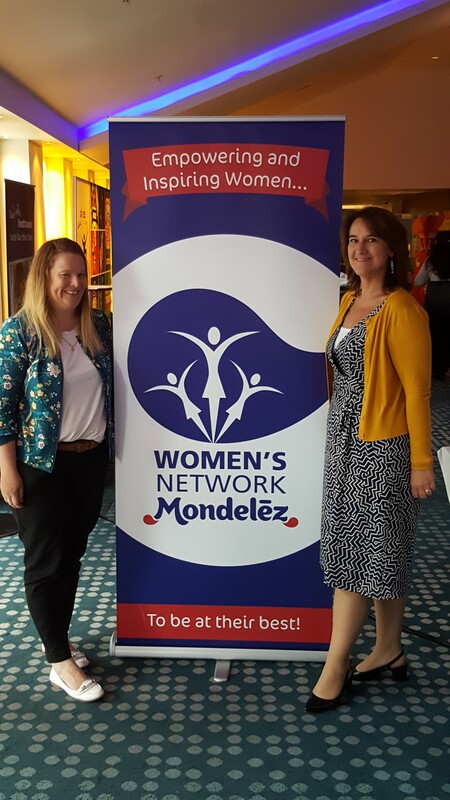 Celebrating our Women: Creating Opportunities for Empowerment | Careers | Mondelēz International, Inc.
At Mondelēz International, we believe in the amazing power of diversity. In fact, being "Open and Inclusive" is one of the values at the heart of our organization. For International Women’s week, we are celebrating some of the women within our organization who are empowering themselves and their colleagues to be at their best. 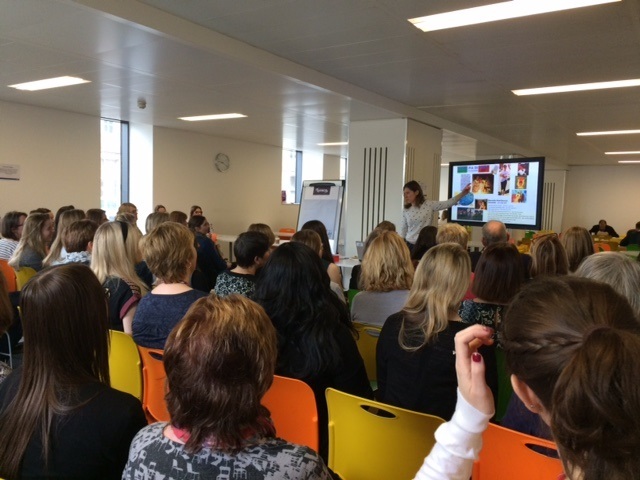 Our women at Mondelēz International are inspiring. Across the organization , groups are taking action to empower our teams and create a more powerful and collaborative environment. At MDLZ, we understand the importance of giving our colleagues the tools, resources, and support to understand how to listen inclusively, to hear what others may be seeing differently to us. We believe that this does not only help to empower our teams and create more fulfilling careers, but also helps our organization become more innovative and productive, and ultimately better serve our customers and consumers. While many of our groups worldwide are adapted to their local needs, they all seek to build on Mondelēz International’s inclusive culture, and make a difference to their colleagues. In May, we will be bringing together our female talent in a global Women’s Forum, hosted by our Chairman and CEO Irene Rosenfeld. This virtual event is designed to be extensive and inclusive, giving our colleagues the opportunity to hold the conversations that are important to women globally. 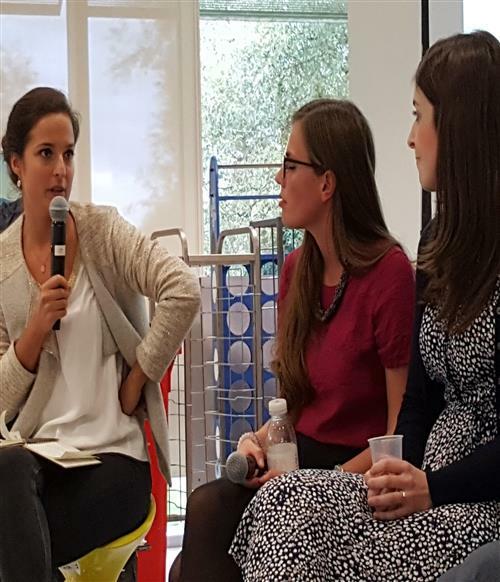 When, as a result of a session on diversity during a "Growing Here" week (a MDLZ week of learning events), a group of female employees felt that they wanted to continue their discussions, the Northern European Women’s Network (NEWN) as we know it today was born. The vision of the NEWN is to Empower and Inspire Women at Mondelēz International to be at their best, and they seek to achieve this by creating a collaborative environment to share experience, by enhancing women’s effectiveness through unleashing potential, and by demonstrating the further value women bring. In their first year, the NEWN team have delivered eight inspirational company-wide events focused on sharing experiences and topics of importance to the network – including themes such as balancing family life, career aspirations, mindfulness, and work-life balance from a variety of angles. Events planned for coming weeks include “Managing Your Inner Critic,” whereby colleagues will be encouraged to be more assertive and overcome their own self-talk, and a “Speed Mentoring” launch event for the 2017 mentoring scheme. They have also launched a series of more informal networking events, with seven taking place over the past year. “One of the things that we hear is that women aren’t able to network, that they feel they need a more structured agenda, and don’t give themselves permission to use their time to get to know people. With this in mind, we wanted to create opportunities and encourage our colleagues to network within a safe environment,” says co-chair Laura. In addition to the large events and informal networking sessions, the NEWN has also created a mentoring program, with 49 mentor relationships built in the first year. This scheme creates connections to enhance personal development, in and outside of the workplace, and is helping both mentees and mentors – with feedback from mentors including: "I really enjoyed the conversations we have had -- I have learned as much as I have given! Really impressed on the proactivity and openness of my mentee." 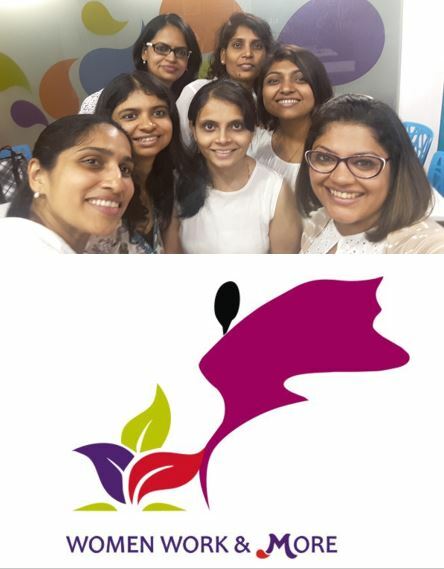 The Information Technology Solutions (ITS) team in Mumbai recognized a need to proactively support women within the function, and a group of colleagues came together to lay the foundations of Women, Work & More (WWM). The group aims to build and grow an inclusive and empowered network for women within ITS to foster growth, provide equal opportunities, and nurture them to reach their full potential. The team took the time to strategically develop a plan for the WWM Network, looking at how they could best provide women a platform to talk about range of prominent topics, and support holistic development. They landed on a structured approach, with five core towers of activity: wellbeing, work-life balance, learning & development, mentoring, and philanthropy. Under each of these towers, there will be a diverse range of activity; the team behind the network are keen to ensure they are not limited to typical topics – so, for example, mentoring will not be limited to leaders mentoring more junior colleagues, but will also include younger generations mentoring older women. The network was recently officially launched with the team in Mumbai. After creating a buzz around the office with teaser posters and specially wrapped chocolates on Valentine’s Day, they had the whole office speculating about what might be happening, resulting in a fantastic turnout for the formal launch event – with the room full to capacity! For the launch, the team arranged a panel discussion on Stress Management. With speakers including Sanjeev Dali (a Senior Director within ITS at MDLZ) and Mansi Agarwal (Co-founder & CEO, UpSkill Pvt. Ltd), colleagues were given the opportunity to hear authentic messages on how to cope with stress, from different genders and perspectives. These insights and personal accounts then sparked some great discussions within the broader colleague group. Feedback has been very positive and supportive, and the WWM team were particularly heartened to hear male leaders saying that they absolutely supported the Network and appreciated its value. WWM are now busy planning more exciting events and networking opportunities for their colleagues, and the team is already talking about how they can broaden the scope of the network beyond Mumbai! In North America, it is clear that diversity is of critical importance to all levels of the organization, from the North America Leadership Team who are champions of inclusion and look to embed it in everything that they do, to the grassroots employee resource groups, and the middle-managers who work to create awareness. There are a series of independent employee groups which focus on the development of their members, including Supply Chain Women, and the Women Sales Council. These groups provide mentoring opportunities, and deal with topics that specifically impact their members, and many are well-established. The aim is now to bring these groups together, along with other inclusivity groups (such as the Millennial Network, Veterans Network, and Asian Council) to form an advisory board, working together on common issues. On International Women’s Day, the North American team will be celebrating with an event focusing on how to integrate work and life, and make it productive. The facilitated conversation element of the event will encourage the team to evaluate their personal barriers, before sharing different practices and experiences, and ultimately encouraging attendees to look at how they can take control and address these barriers.